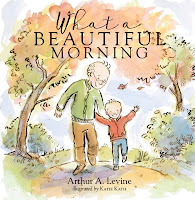 One of my favorite ways to come up with new ideas for my picture book stories is by reading recently published picture books. Oftentimes, they ignite my imagination by making me fall in love with a character, by creating a magical world I long to explore further, or by evoking a feeling that I strive to replicate in my own work. I must say that ReFoReMo has played a big role in encouraging me to use mentor texts more often as well as in creating a habit of researching more deeply. This, in turn, has sparked more ideas and widened my view of the current kidlit market. 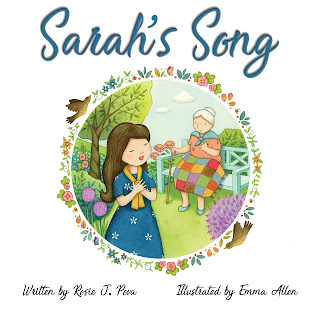 Such was the case with the creation of my soon-to-be-released picture book, Sarah's Song, that was inspired by Pat Zietlow Miller's Sophie's Squash. I must have watched Pat's YouTube video reading her book a dozen times, each time admiring her well crafted text and the way it flowed, the structure of her story, the short and effective transitions in time and space, and I wished I could model all that. 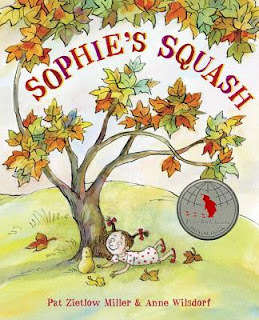 I wanted to write a story using Sophie's Squash as a mentor text and I wanted mine to have a similar sweet and heartwarming character, to be a story about something precious that a kid wanted to hold on to but would eventually have to let go, embrace a transformation and move on. I also wanted to have multiple settings, a story arc over a longer period of time, a relatable and sympathetic character that was unique and memorable. What a tall order, right?! I know. But that's what I was going to strive for. Pat's book got me dreaming big. So, I first came up with the theme – a girl coming to terms with an ailing grandmother and how that changed the special bond the two shared through music and dance. It wasn't all that well defined at the beginning but that was the main idea of inserting that something precious and a change that would affect it. 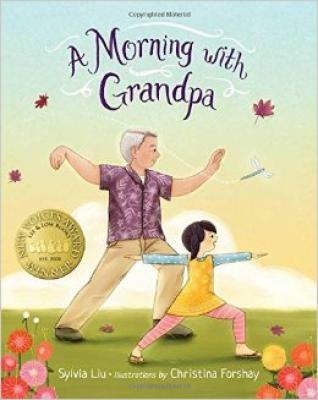 When I knew what the story was going to be about, the next step of my research was to look up similar books to use as additional mentor texts and comp titles later in my query. I needed to find out how my book would be positioned in the market and what was going to make it unique. Again, thank you, ReFoReMo! Joining the challenge has been very rewarding for my writing. I wrote the first draft modeling Sophie's Squash structure and tried to capture the emotional resonance that I wanted my book to have. There were many revisions ahead so I got to work again. It would be a few years before the story found a home, but I'm happy to share it with the world soon and I hope it touches readers. My publisher later told me that my well-researched comp titles had impressed her while reading my submission. She said she knew my audience and that she was dealing with a seasoned writer when she read my comps. It was nice to hear the extra work had paid off! 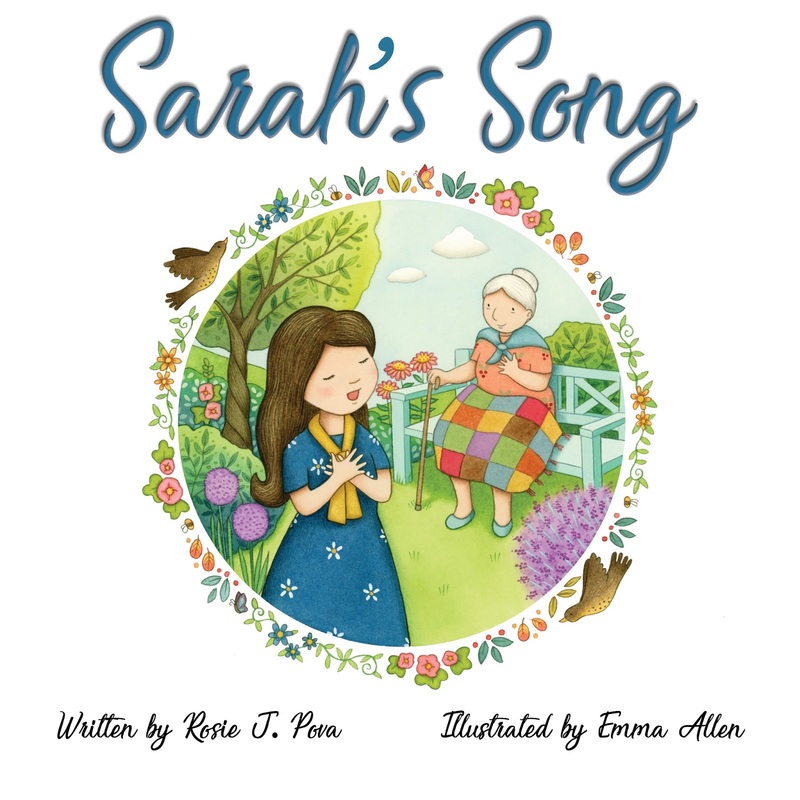 Thanks, Rosie, and Happy Book Birthday to Sarah's Song! We are cheering you on from the ReFoReMo sidelines. 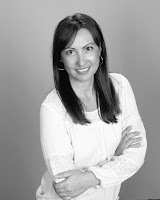 Rosie J. Pova is a children's author, poet, wife and a mother of three. She's originally from Bulgaria now living in Texas with her family. In addition to Sarah's Song, Rosie is the author of If I Weren't With You (PB, April 2017) and a sci-fi humorous middle grade novel, Hailey Queen Pranking Makes Perfect: The Alien Encounter. Visit her at www.rosiejpova.com, Twitter, and Facebook. YOU did choose some really cool mentor texts. Rosie. Thank you for pulling back the methods you used to find the structure in Sophie's Squash - very instructive. Congrats on Sarah's Song. Good post, Carrie. Thanks Rosie! This is a very helpful post for helping us understand how to use mentor texts! I can't wait to read your book! Congratulations! This sounds like a great story! Can't wait! I'm excited to share it with readers :) Thank you, Angie. Great job, Rosie. There's nothing like a great mentor text. 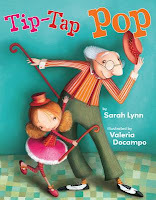 Can't wait to see Sarah's Song in print! I love this post. Although I read PBs constantly, I use them as mentor texts in the most general way. I like you specific approach. It seems to have worked for you. And if those are your comps, I'm sure I'll love your book too! I love Sophie's Squash and can't wait to compare your book with Pat's. It will be interesting to discover the commonalities as well as the way you diverged from your mentor text. It's also interesting to see how much comp titles played in the publisher's decision to acquire your manuscript. Thanks for a great post! 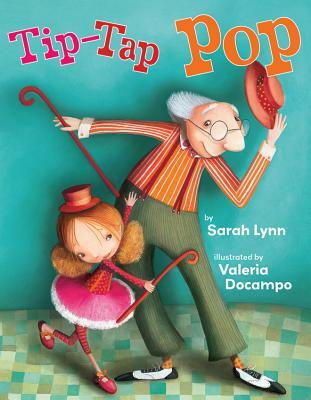 So excited to see Tip Tap Pop as a comp! Thank you! Can't wait to read your book.